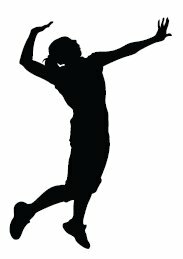 What Is The Definition Of Approach In Volleyball? 1. This refers when a spiker quickly strides towards the net before they jump in the air for an attack. 1. The outside hitter approaches the net, jumps and slams home the spike for a point.